Whether you are planning on painting the town brown or you intend to pass a quiet evening at home, Happy New Year, to you and yours. The 2000s were a great decade for books related to South Asia in western publishing. Earlier it seemed that there was a very limited quota for South Asia related material in American publishing — but that’s ended. I took some heat from readers for the narrowness of some of my earlier polls, so for these polls I decided to open up the voting with longer lists. I think a non-South Asian writer could potentially write as well about South Asian life as a desi, so I decided to open the lists up to non-desi writers who have made a mark, especially folks like William Dalrymple. I also felt that it would be unfair to put new novelists, whose names might not yet be familiar to a lot of people, in contest with established Big Name authors. So I divided the fiction list into two — one for established writers (who were either not writing their first books in the 2000s, or whose first books were runaway successes), and one for “up and comers,” who did publish first novels in the 2000s. Doing it this way also allows me to point to a number of Sepia Mutiny reviews and Q&As that my co-bloggers and I have have done over the past few years. Below I’ve put some comments, where I have something to say about a particular book. There are a few books on the polls I haven’t actually read — so I refrained from making any comments. There are also a few books I have read where I decided not to comment. However, even if there’s no comment below, the books might still be on the poll; my silence should not be taken as an attempt to influence the vote. Did someone “Indian” help the Nigerian bomber in Amsterdam? I left work later than I intended to tonight, and this concerned me because I’m in the middle of a rather difficult move from one apartment to another here in Chocolate City. Moving. Ugh, right? Anyway, while worrying that I now had even LESS time to sort and pack my crap, I overheard something important on NPR. “Maybe I was meant to run late”, I mused to myself…maybe, indeed. What I ended up listening to had me riveted to the news [though it wasn't quite a driveway moment-- that would be challenging here in the city ]. NPR’s All Things Considered co-host Robert Siegel was interviewing a Michigan-based attorney named Kurt Haskell; Haskell was aboard Northwest flight 253, along with Umar Farouk Abdulmutallab, the Nigerian man who attempted to blow it up on Christmas day. While all of you are aware of this horrifying incident, a few of you may be unaware of some disturbing additional information pertaining to that attack. On NPR, Haskell described a scene he witnessed with his wife prior to boarding that ill-fated flight home to Detroit. 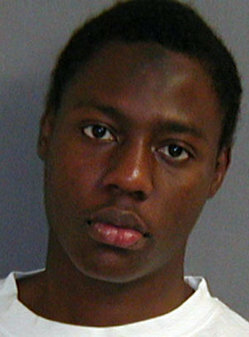 He recalled seeing terror suspect Umar Farouk Abdulmutallab escorted to the gate by a “well-dressed Indian man”, who tried to intervene on Abdulmutallab’s behalf and browbeat an airline employee in to overlooking the fact that the wanna-be martyr lacked a passport. WTF? Who gets to board anything without a passport, these days? And also, uh, INDIAN? I think he meant South Asian, because if Mr. Haskell is anything like me, he was born here and probably can’t tell the difference between a Pakistani and a Sri Lankan from a mere glance. Merry Christmas readers! Err sorry, Ennis. Happy Holidays lovely readers! I hope you were able to enjoy this break with friends and family. As for myself, I’m still not done making lists. No, not Christmas presents. That headache is over and I have the paper cuts to prove it. I’m referring to the lists I made this past semester – lists of books, movies, and TV shows I intended to catch up on during December/January. One of those is a list of Bollywood movies I’ve been hoping to watch in the next few weeks. (See Boston mutineers, I promised you a Bollywood post. Here it is.) I came up with a rough compilation of movies I hope to see these next few weeks and I’m selfishly hoping you can help me hone it. Because if you’re going to spend three hours watching a movie, it had better be worth it! Growing up I adored the holidays. We sang carols in school, followed by vacation and festive parties thrown by my parents’ European friends. The highlight of the season, and our key family tradition, was to walk down 5th Avenue and look at the various Christmas displays in the shop windows. For me, my favorite parts were the rampant commercialism and the massive displays of conspicuous consumption. Christmas was never a family holiday, we never kept a tree in our Manhattan apartment and in my Jewish neighborhood nobody believed in Santa, a custom my neighbors explained was a bit of gentile foolishness for children who were too slow to notice that apartments had no chimneys. For these reasons I never developed a deep abiding affection for the holidays. Many of my brown friends are thrilled that the season is upon us, talking about how they plan to make the holiday their own, putting a Khanda on top of a “Christmas Tree”, etc. And why not? The tree is an old pagan tradition that was only grudgingly accepted by the Catholic Church, all the best Christmas songs were written by Jews, and Santa Claus is Punjabi . Personally, I’m more of a bah humbug kind of guy. Where I live in the Midwest, strangers answer your Happy Holidays with a Merry Christmas in such a way to make me want to declare war against it, or explain to them in a pedantic fashion that the early Christians didn’t celebrate Christmas because birthday celebrations were seen as pagan, and that most of the traditions associated with Christmas are either pagan (like the word Yule) or the result of fairly recent invention. With such stress, there’s a reason why cardiac mortality increases this time of year. The results of poll #1, on the most influential Desi musician of the 2000s, are pretty clear — with about 200 votes cast, A.R. Rahman wins by a significant margin, with M.I.A. as the second most influential Desi musician of the 2000s. The topic of the next poll was strongly suggested by the comments following the first one — sports. I tried to use what the commenters were suggesting to guide my choices. While I am at it, however, I am also doing a poll for the best Desi film of the 2000s. Here, it seemed wrong to put artsy “diaspora” films up against commercial South Asian cinema (Bollywood, Tollywood, etc. ), so I created a poll #3 — for commercial cinema — and a poll #3A — for specifically South Asian diaspora cinema. Choosing the films for the commercial cinema category was challenging, and I kept finding that certain films had a natural pairing (for instance, Lagaan, by Ashutosh Gowariker, goes with Swades). I also realized that some of the most influential commercial films were known not for their directors, but for writers and producers; Vidhu Vinod Chopra, whose name was associated with both Munnabhai films, only wrote the first one. Similarly, Karan Johar’s name is associated with several important films he produced rather than directed. And the directors for many Yash Raj Films are unknowns, but the films have a certain “stamp” to them. So I used the idea of the “filmmaker,” which could be the writer, director, or producer. I’m sure my approach will seem a little unusual to some folks, but hopefully it’s coherent enough, and you see something there you want to vote for. (At the very least, my approach solved the problem of how to pick just 10 commercial films from over the entire decade.) Finally, people who really know regional cinema might want to create your own “Best Of 2000s” lists in the comments — I simply haven’t seen very much Telugu cinema, for example, so I don’t have any Telugu filmmakers listed here. It looks increasingly as if Democrats have a dogfight on their hands in suburban Philadelphia’s Sixth Congressional District. Rep. Chris Carney (D., Pa.) announced yesterday that he was endorsing Manan Trivedi, a Reading doctor and veteran of the current Iraq war, in the primary. Carney is the first member of the state’s congressional delegation to back Trivedi. In the comments, please feel free to ‘write in’ the names of people who ought to be on the list but aren’t, or to discuss why you voted as you did.